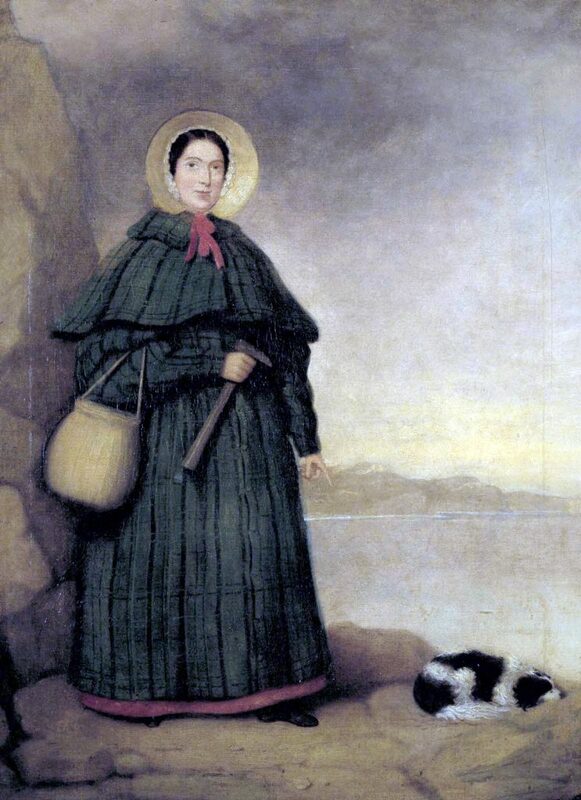 Mary Anning and her dog. The scientific fields of geology and paleontology owe much of their early advancements to an uneducated, impoverished, amateur fossil hunter in the early 1800s. However, much of the credit for Mary Anning’s work was not granted to her during her lifetime. The reason for this was threefold – she was from a poverty-stricken, working-class family, she lacked a formal education, and she was female. Her discoveries, however, forced the scientific community to re-examine much of what they had long considered to be facts and helped to create a chasm between science and religion. Mary Anning was born in 1799, during an important time for science. New scientific disciplines were splitting off from the umbrella of ‘natural science’ and were becoming well-established as respected fields of study. Biology, botany, geology, and more gave scientists avenues for exploration and discovery. The early 19th century was also a time in which the rapid accumulation of new knowledge was often at odds with the long-held beliefs and radical theories were being presented as challenges to old truisms. This was also the age of the amateur scientist. While the elite class could choose to attend a university to study in the sciences, more and more untrained, amateur researchers, with little to no formal education, could make a name for themselves through independent study, observations, and explorations. In one way, this rise of the amateur scientist was beneficial to Mary Anning. However, the early 1800s were still a time when social class and gender presented insurmountable obstacles for even the most ambitious amateur scientist. The Anning family lived in Lyme Regis on the southern shore of England. Mary Anning was born to Richard and Mary Anning, one of only two of their ten children to reach adulthood. 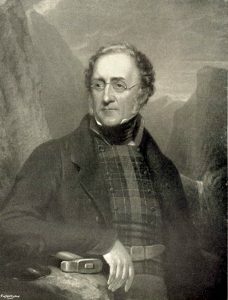 Richard Anning, along with Mary’s older brother, Joseph, supplemented the family’s meager income by selling unique fossils that they found along the seaside cliffs. As soon as she was old enough, Mary joined them. In fact, she learned much about fossil hunting from her father, and when he died in 1810, eleven-year old Mary was able to continue the family’s fossil selling business and keep the Anning family from starvation. Still a pre-teen, Mary Anning unearthed the first ichthyosaur fossil that the scientific community of London had ever seen. The ‘beast’, as they called it, created quite a stir among the academic community. Debates raged. Was this a type of crocodile? If so, why weren’t there any living crocodiles in the Lyme Regis area? How did the beast’s bones become encased in stone? How long had it been buried? And, could it be a creature that has gone extinct? The idea of extinction, to 19th century Christian people, was an unsettling one. Christians had, for centuries, accepted the Bible as fact. They believed that the Earth had remained unchanged since God created it, some 6,000 years ago. And they believed that all living things were perfectly created by God. To accept that there were creatures hat lived a long time ago, and to accept that the Earth had a pre-history, were blasphemous concepts. How could God, who made His perfect animals, allow them to die out and become extinct? A lot of evidence and critical thinking was needed before the idea that prehistoric animals walked the planet millions of years ago. Geology and paleontology were able to show that the Earth was, indeed, very old and that conditions on the planet have changed much over the years. Change was at the very center of these controversial ideas and helped to lay the foundation for the groundbreaking work of Charles Darwin in1859. Mary Anning’s most significant discovery was the unearthing of the first plesiosaur fossil. This discovery caught the attention of George Cuvier, a noted French anatomist. When Cuvier first viewed drawings of Anning’s plesiosaur, he denounced it as a fake. But upon closer inspection, he realized that the fossil was not only authentic, but an important paleontological find. Cuvier, one of the early proponents of extinction, believed Anning’s find was an extinct prehistoric animal. He writings cast doubt about the Biblical age of the Earth. Although Anning sold a number of her fossil finds to wealthy collectors, some were sold to museums where they were displayed without acknowledging her as the fossilist. That didn’t mean she was unknown to the scientific community. On the contrary, she maintained correspondences with a number of well-respected scientists and several even joined her on fossil hunts. These included William Buckland and Richard Owen, the person who first coined the term ‘dinosaur.’ In the early 1820s, noted fossil hunter Lieutenant Colonel Thomas Birch travelled to Lyme Regis to acquire some of Anning’s fossils. He was dismayed at the Anning family’s living conditions and sympathized with their extreme poverty. He auctioned off the entirety of his extensive fossil collections and presented the Annings with the proceeds. This was the first generous gift bestowed upon the Anning family as a result of Mary Anning’s scientific discoveries. The next one came in the form of an annual annuity given to her by the British Association for the Advancement of Science, as a nod to her contributions. Still another came from Sir Henry Thomas De la Beche, the first director of the Geological Survey of Great Britain. De la Beche was an avid supporter of Anning and, the help alleviate her financial hardship, he donated all the royalties to her from the sale of lithograph prints of some of Anning’s fossil finds. “Mary Anning (1799-1847).” Basic Flight Physics. Berkeley University. Web. 11 May 2018. 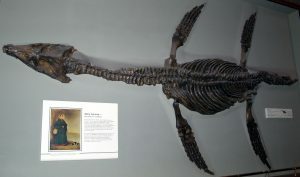 “Mary Anning.” Lyme Regis Museum. Web. 11 May 2018. Zielinski, Sarah. “Mary Anning, An Amazing Fossil Hunter.” Smithsonian, 5 Jan. 2010. Web. 11 May 2018.